Brunello Cucinelli is more than a man and his clothing line; it is a philosophy. Brunello grew up in Castel Rigone watching his father work in an unwelcoming environment sparking his interest in becoming a “close observer of the world”. An engineering school dropout (lucky for us! ), 24-year-old Brunello entered the fashion industry in 1978 with his idea of brightly dyed cashmere sweaters. The market welcomed his forward thinking in fashion providing him the catalyst he needed to develop and promote his concept of business; work that enhances the human being and ensures respect for a person's moral and economic dignity - essentially "Humanistic Capitalism." Brunello and his wife, Frederica, moved to Solomeo, Italy in 1982 shortly after they were married. The village, close to Perguia, dated back to the twelfth century and was the perfect place for Brunello to realize his dream of developing his own luxury brand - and in the process, he revitalized the village. He purchased a fourteenth century castle and repurposed it into his corporate headquarters. From that beginning, hundreds of his employees now call Solomeo home and share in his vision of ultimate luxury...with a purpose. Brunello Cucinelli has since contributed to repaving roads, restoring churches - even turning the moving of company headquarters into a park development enterprise known as The Project for Beauty. Cucinelli's greatest contribution to Solomeo may have been The Forum of the Arts. The Forum, inspired by that of Ancient Rome, consists of Theater Cucinelli, which hosts plays, concerts, and ballets, sitting opposite of the Amphitheater where summer music festivals are held. There is a terraced garden called The Garden of Philosophers designed to encourage meditation and nature contemplation, and the Aurelian Neohumanistic Academy, devoted to meetings and conviviality, includes a library containing classic and modern books on art, literature, history, spirituality and philosophy. Most recently in 2013, The Forum opened the Solomeo School of Arts and Crafts with the "vision that the memory of an important humanistic factor such as craftsmanship is preserved and passed on to future generations." Needless to say, Brunello Cucinelli has lived a life of inspiration: From the rebirth of Solomeo, to the beautiful clothes that'll bring you to your knees. This season is no exception, which is inspired by the "clear and vital spirit of summer." The Spring 2017 collection displays "a synthesis of a new dynamic style that develops an elegance through movement, lending itself to any occasion that may arise during the course of the day." The Alaide Showroom, in the heart of midtown Manhattan, is the multi brand creation and domain of the one and only “Super Michal” Sestak. He is without a doubt the funniest and the hardest working man on the other side of the table (wholesale). No matter how exhausted I am from pounding the New York streets day after day, I always look forward to our appointment. The brands he represents are “fantastico” and he and his supporting cast of characters never fail to entertain. Early on in our acquaintance, we both had a rare and simultaneous free window of time, so we adjourned to the soft clay tennis courts of Central Park where I shred him to pieces. He says he let me win, but it was an unmistakeable, thorough drubbing. He has since forgiven me and have become good friends. Inis Meáin is one of the Aran Islands off the west coast of Ireland, and is the most remote fashion outposts on the planet. In the beginning, survival in such a beautiful but unforgiving environment depended upon dexterity and skill. It inspired an ascetic way of life and feeling for quality which is expressed in the products of the islander's toll. Inis Meáin is constantly delving into the island's rich knitting traditions to find and reinterpret old stitches in new ways. "Right as rain!" Also founded in Italy in the 1930's, Sealup has been synonymous with quality and design. Their technically mastered, luxury garments have traveled the globe and faced the elements with style and taste in true milanese fashion. The collection, born in the heart of Milan, is "pure Italian expression", as it is entirely manufactured in Italy. Every Maurizio Baldassari garment is made only of the finest materials and is a reflection of the design and artisanship that is at the core of timeless Milanese simplicity. Founded in Milan in the 1930's, Doriani is an ultra soft cashmere collection made entirely in Itay. This is to embody the hallmarks of Italian design; expert craftsmanship; a refined elegance and luxurious fabrics. "The Eton Shirt", as it was launched in 1928, can be traced to a small Swedish kitchen 20 years earlier, where Annie Pettersson began sewing dresses for family and friends. When the Great Depression forced her husband David to close their sawmill, he joined her growing enterprise, and together they launched Syfabriken Special (Special Sewing Factory). Today, Eton has become one of the most successful shirt makers on the planet. Because of their insistence on quality, consistency, and innovation, Eton's fan base continues to grow. At Eton high quality equals sustainability. Their mission is to produce long-lasting garments and to minimize negative environmental and social impact. 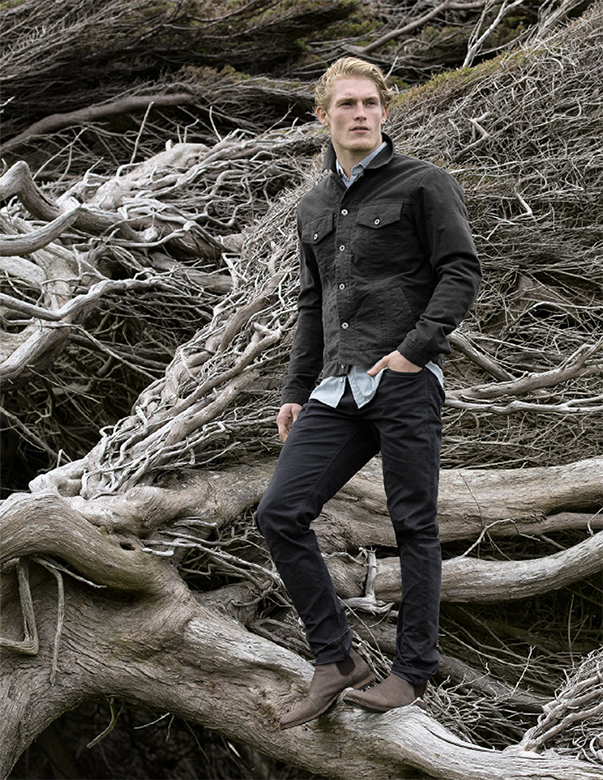 Eton belives the first step to a more sustainable clothing industry is to promote durable and timeless products. Eton considers themselves product specialist meaning they can monitor every stage in the production process. They work closely with suppliers and conduct weekly visits to guarantee the highest possible quality. All suppliers are required to sign a code of conduct and code of ethics to regulate the working conditions at each supplier. 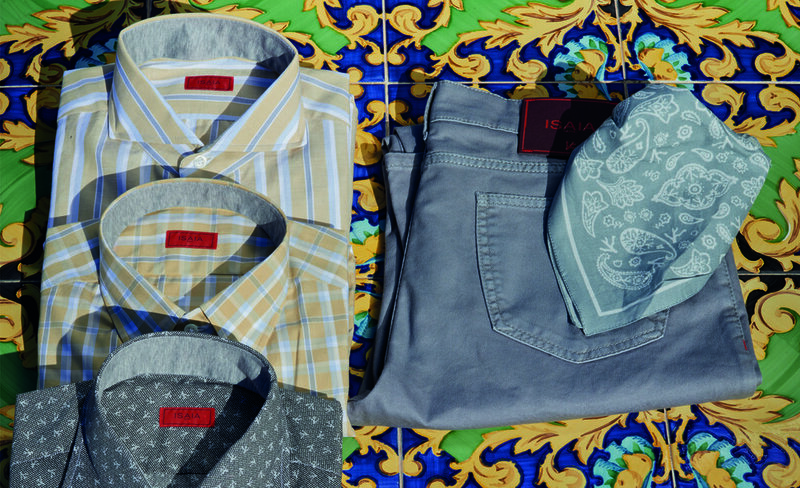 Eton creates diverse and versatile shirts for any occasion in life. From business and formal events to your day off – there is always an Eton shirt to look good in. Summers in Sweden are short therefore the brand has become well-versed in making the most out of this brief, but amazing season. The Summer collection embodies fresh colors and smart designs that are the spirit of the season. Inspired by the beauty of Sweden's summer days and the purity of the ocean, this collection will elevate your summer wardrobe. Since 1934, Canali has maintained the core values of the "Made in Italy" heritage through artisanal and innovative excellence, creating sartorial masterpieces of exceptional wearability and comfort in a perfect balance of culture and history, style and taste. The Canali Tailoring Principle uses innovation to achieve aesthetic perfection, continuously renewing its styles with a meticulous attention to detail and the use of premium fabrics. A family-run company now in its third generation, Canali is a modern-day design and manufacturing group. A new story begins; a page turns. Single threads meet and intertwine, weaving a narrative that grows, building upon itself. A protagonist materializes; a plot unfolds. Motifs appear and recur as markers on a path, leading to an end that is in itself another beginning. Spring Summer 2017 is a tale of introspection, the beginning of a new chapter where material takes center-stage. Craftsmanship, exceptional materials and distinctive details – pillars of a storied heritage – emerge as the central themes manifesting themselves in unstructured yet tailored silhouettes, luxurious leathers and soft-spoken but unique variations on that timeless matter of elegance. Intersecting warps and wefts are visible on textured jackets, pants and knitwear. The palette oscillates fluently between a parentheses of steel blue and burnt sienna, taking inspiration from another kind of warp and weft – the sky and the earth – two infinite planes that greet and fade into each other along a seamless horizon. Samuelsohn, Ltd. A product of the commitment, focus and perfection of founder Lesser Samuelsohn...and our best selling clothing line for more than 20 years. With demands of the consumer higher than ever, Samuelsohn remains true to the craft of a tailored suit: what makes it truly fit better and last longer. No matter how difficult or costly, the same "hymn-canvas construction" they used in 1923 is still used today. This tradition sets them apart from many modern suit makers, who have abandoned such techniques for cheaper methods, but there is an awareness that innovation is necessary to keep up with the speed and motion of contemporary life. For the Spring 2017 collection Samuelsohn pushes passion and performance by incorporating technology in tailored clothing in ways exclusive to the brand. Jackets include treated horn buttons for added strength, Bemberg linings wick away moisture, and trousers are constructed with stretch strain waistbands for added comfort. Fabrics are hand-selected by designers of the most prestigious textile mills in the world including a wide range of super fine wools, intriguing blends of cashmere, silks, and linens as well as innovative performance weaves. This season Samuelsohn also revolutionized the basic navy and charcoal suit with "Ice Wool". "Shocked” rather than treated to combat the elements, this material repels water, stains, and provides stretch for the maximum performance and comfort. The result? A suit that maintains optimal body temperature by holding or reflecting heat as needed. To Chief Creative Officer Arnold Brandt Silverstone, spring means men are "unburdened by cold weather layers; spring allows men to indulge in style trends." So, indulge! Indulge in something modern with a touch of Lyrca in your jacket, indulge in vibrant colors of fabrics dyed in the crisp elements of the Alps, even indulge in a denim suit with a peak lapel! For a closer look (and advice for how to best indulge) we encourage to you stop by our shops for the full experience that is a Samuelsohn garment. "Constructed for longevity and performance, we create luxury clothing that looks beautiful, feels beautiful and stays beautiful." All Eleventy garments are created in 94 different workshops, where the secrets of the "Made in Italy" traditions are conserved. Eleventy dresses every man who aspires self-improvement with responsible Italian elegance, and they represent a level of style and value uncommon in the marketplace. Their ambition is to broaden the accessibility of the Italian manufacturing tradition. Collections are designed not only to satisfy the most exacting tastes, but more importantly to ensure that an ever increasing number of people worldwide choose elegance for their everyday lives. This objective was set from the very start - they are firmly convinced that the future will have room only for ethical fashion. The 2017 Spring/Summer collection evokes a relaxed modern feel while remaining loyal to traditional tailored Italian fashion. T-shirts are worn under deconstructed blazers, pleated draw string cargo pants are shown in place of dress trousers, and city sneakers are shown with every look. The palette remains muted yet bright in various hues of beige, grey, and blue. This season, beecroft & bull is proud to host another event with this exciting new clothing company. What is important is to try to do the hardest of things in a more simple way. In everything that you do, whatever code of dressing you follow, you must be easy inside. The story that began with a Saxony windowpane suit and evolved not only into a leading luxury brand, but also a lifestyle. One of ease and quiet confidence. Inspired by the heritage and archives of their humble beginnings in the 1970’s, the Spring/Summer 2017 collection is elegant yet current, emphasizing understatement and detail through color harmony and the mixing of textures, solids, and patterns. A continuation of the study of "sprezzatura" revisited with a contemporary view, this season acknowledges the past and speaks to the future of Italian sophistication, while maintaining our timeless sensibility. Light and luxurious fabrics in rich shades of plum, terra cotta, and summer blue, are grounded in classic navy and beige, evoking the feeling of a whirlwind holiday on Lake Como. Robert Talbott's story is essentially the American Dream. Robert and Audrey Talbott fled New England to chase their vision of something truly unique and special on the California coast; a line of neckwear and shirtings suitable for the most sophisticated gentleman. Over half a century later Robert Talbott continues to hold true to it's founding principles maintaining it's dedication to quality and craftsmanship. But what sets Robert Talbott apart from the rest? Uncompromising materials, process, and style. It all begins with a selection of choice materials from the most esteemed weaving mills in Europe, Australian mother of pearl buttons, exquisite silk from Europe and Asia, and long staple, Egyptian cotton yarns. These components set the canvas for the creative process, enhancing designs by the inherent superiority of the finest materials. Robert Talbott is also one of the few clothing lines to manufacture their own pieces. This means they have a hand in every step of the process, exacting attention to every detail. From design conception, to material sourcing, to the placement of every last stitch, they have a holistic view of what it takes to create exemplary clothing. Impeccable style is timeless and well-made clothing will always be in style. Robert Talbott recognizes its rich heritage, maintains its dedication to quality craftsmanship, and is constantly one step ahead to create a modern take on classic styles that will be inspiring for ages to come. This season makes ISAIA 60 years young! To celebrate, it was appropriate that the Spring/Summer 2017 collection embody the ever captivating island of Capri. To current CEO Gianluca Isaia, the island itself perfectly celebrates his family's legacy. Isaia describes "the rocky terrain, which is repeatedly battered by the wind and sun, demonstrates the unstoppable force of the brand and its vibrant, unexpected nature, reflected in the ocean surrounding the island." As the landscape epitomizes the principles of the brand, it also inspires the clothes! Travelers have a tendency to lose themselves in the island becoming "Capri types"; dressing in colorful shirts and loud scarves regardless of nationality or individual taste. This season's color palette shows sunny yellows and blues of the sky and sea in hues specific to Capri. Fabrics feature stripes and florals reminiscent of the fifties and early sixties, and wide stripes like the awning-tops of Capri taxis. ISAIA continues to galvanize the "New Gentleman". Fulfilling his sophisticated, dynamic personality and embracing the concept of "contemporary tradition", he stays true to his roots but constantly seeks innovation. Congratulations to ISAIA on their 60th Anniversary. We are eager to see what the next 60 will bring. A seasonal magazine has been part of the beecroft & bull experience for many years. We put the same passion and quality into the visual representation of our clothing as we do in curating our collections and taking care of our clients. Take a quick walk through Keswick Hall - the sight of our Spring ’17 photoshoot - and then visit one of our shops to pick up a copy, and enjoy the ultimate sensation of touch. Don’t let the stoic faces of models Patrick and Lacy fool you - the Horizon Pool outside the main lodge overlooking the Pete Dye designed “Full Cry” golf course is nothing short of sublime. Clothing from Isaia and Luciano Barbera are appropriate when arriving at Keswick Hall. The Italianate architecture evokes the luxury of a continental hideaway. The grand entrance here is further enhanced by the vintage 1938 Packard convertible. A beautiful sunrise and an unseasonably warm February morning were harbingers to an epic day on the grounds of Keswick Hall. Leather clad and bad to the bone. This may have been a first at “Fossett’s", but Lacy and Patrick provided an RPM boost at the bar before enjoying authentic al fresco dining and panoramic views of the estate’s landscape. A special thank you to Keswick Hall for providing the perfect stage, and for their world class hospitality. "Italian designed and made, Culturata brings a distinctly modern attitude to old school craftsmanship." In the midst of a global financial crisis and against all odds, Jacques Haggiag of Rome and Nadine Price of Montreal launched the shirting brand known as Culturata. It took passion, courage and knowledge of quality shirt making - quality outweighing all other factors. Every season Jacques & Nadine work exclusively with world renowned Italian fabric mills to develop proprietary and unique patterns, extra soft finishes and innovative washing techniques. What makes a Culturata shirt truly the "Softest in the World"? : A finishing technique called "Mano Pesca" or the "peach fuzz effect" created by gently brushing the fabric resulting in luxurious cotton that feels like cashmere. Garments then go through enzyme washes or "lavato in capo" to break down the starch and further soften the garment. Made in Italy. Culturata does not take this statement lightly. Sourcing the finest cotton and linen from Egypt to France, the fibers are then woven in the hillsides of Italy and constructed just outside of Rome. Each garment is produced using artisanal techniques in small runs to preserve quality and authenticity - "nurtured lovingly from start to finish, seed to garment." This season, the ever evolving southern brand features new interpretations of menswear with luxury fabrics, bold patterns, and vibrant colors. The Crown collection emphasizes bold interpretations of classic patterns, bright colors and luxury fabrications for the office or on the town. Crown Sport offers innovative performance apparel favored by gold professionals and gentlemen of fine taste. Each piece is well-crafted, performance enhancing with classic Peter Millar aesthetic for your active lifestyle. Collection blends American heritage and European sensibility. 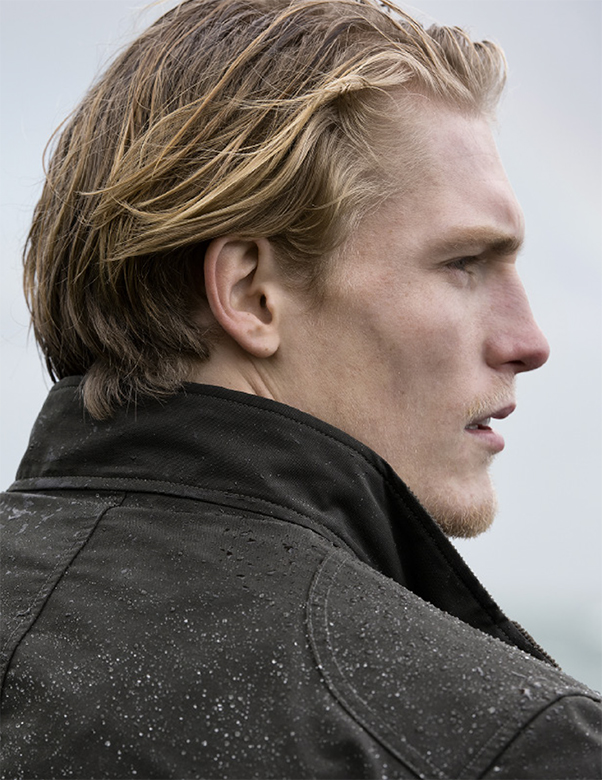 With renowned attention to detail and craftsmanship it offers a new interpretation of menswear. The Rodd & Gunn heritage dates back to 1946, when the brand’s first trademark logo – the English Pointer – was used on a boutique line of New Zealand made shirts. The modern brand was established in 1987 when the first standalone store opened on Auckland’s Queen Street. Rodd & Gunn is synonymous with premium quality and authentic design, taking its inspiration from New Zealand’s picturesque landscape. Every Rodd & Gunn seasonal collection is based on the desire to create garments that are imbued with authenticity and contemporary style, but which are designed to stand the test of time. The changing rhythm of Spring, Summer, Fall and Winter offer a fresh opportunity to celebrate casual living. New-generation fabrics combined with timeless manufacturing techniques produce garments that are as functional as they are fashionable. To create clothes that draw the best from nature, Rodd & Gunn is committed to sourcing the finest yarns, fabrics and leathers from around the world. The result is a range made from premium linens, denims, cottons, wools and leathers that are soft, practical, superbly textured and durable. Rodd & Gunn has long standing relationships with some of the most famous textile mills in Europe, where traditional methods are used to produce superior fabrics that are exclusive to Rodd & Gunn. Today Rodd & Gunn remains famous for tailored shirts, high quality knitwear, pants and jeans (that really fit! ), polo shirts, Italian leather shoes, leather luggage and other stylish accessories. Every collection is built around pieces that can be effortlessly styled and designs that aspire to transport you to a place that is both relaxing and authentic. In the harsh, but beautiful, coastline of southern New Zealand, inspiration is found for this season’s collection. While gnarled trees bend in humble submission to the prevailing winds, their designs confront winter head on by melding rugged classics with urban design. Premium wools, protective coatings, textured knits and warming details, such as internal quilting, are thoughtfully integrated to deliver both form and function. While luxuriously soft fabrics and the finest woolens take pride of place in the range, new technology is also utilized to create ones with weather and wind resistant coatings. The season of giving is upon us. For the thrill seeker or adventurer on your “nice” list, we suggest a little flavor from the New Zealand backcountry. Please click below for Keg Breedlove’s gonzo tour of New Zealand last year! Happy Holidays. “In our 58 year history, I can count on one hand the number of brands that have had a significant impact in our business…Samuelsohn is clearly one of them.” -Craig Beecroft. A goal to be the best demands a commitment to the highest level of detail and craftsmanship. That was the mission in 1923, when Master Tailor Lesser Samuelsohn set out on his journey to become one of the finest suit makers in North America. Emigrating with his family from Lodz, Poland to Rochester, New York in the late 1800’s, the young Samuelsohn immediately landed in the epicenter of the men’s clothing trade in the United States. Samuelsohn became a student of design and tailoring setting his sights on creating his own brand of fine men’s clothing. His mission was singular and focused: to produce the finest garments possible. Lesser Samuelsohn - ever the perfectionist - held high standards for the suits he would wear personally. Legend has it that as he began his clothing company, he did not deem Samuelsohn suits worthy enough for his own use and instead had his own pieces custom tailored in Toronto. He would not make a long-standing habit of this obsessive trait; before long, he and his team proudly wore their own brand. Stephen Granovsky, current owner of the company and of Luxury Men’s Apparel Group, is truly taking the brand to the next level while not losing sight of the values on which it was originally founded. Samuelsohn remains true to the craft of the tailored suit. Virtually all Samuelsohn suits are constructed the old-fashioned way, relying on a costly and difficult process called “hymo-canvas construction”. Even though many other suit makers have abandoned this practice in favor of the much cheaper “fusing” method, Samuelsohn depends on this tradition of tailoring and craftsmanship because it simply makes for a better fitting and longer lasting garment - the hallmarks of real value. Samuelsohn has emerged from yet another volatile time in the international retail landscape, not only intact, but as one of its leaders. Through constant innovation and improvement in all facets of their business, be it their customer care and in stock services, quality control, or the further development of their Made-to-Measure program, Samuelsohn is at the top of their class. They have made themselves invaluable to the clients they serve, and in turn, to the legions of Beecroft & Bull faithful who proudly wear their clothing. These words provide a translation to the quality and passion that live inside the Canali brand. For Fall 2016, Beecroft & Bull is proud to continue our commitment to offering the finest clothing in the world. We were introduced to Canali soon after we discovered Italian manufacturing in the late 1980’s, and it is a relationship that is as strong as ever. The Canali story dates back to 1934 during a renaissance period in Italian fashion. 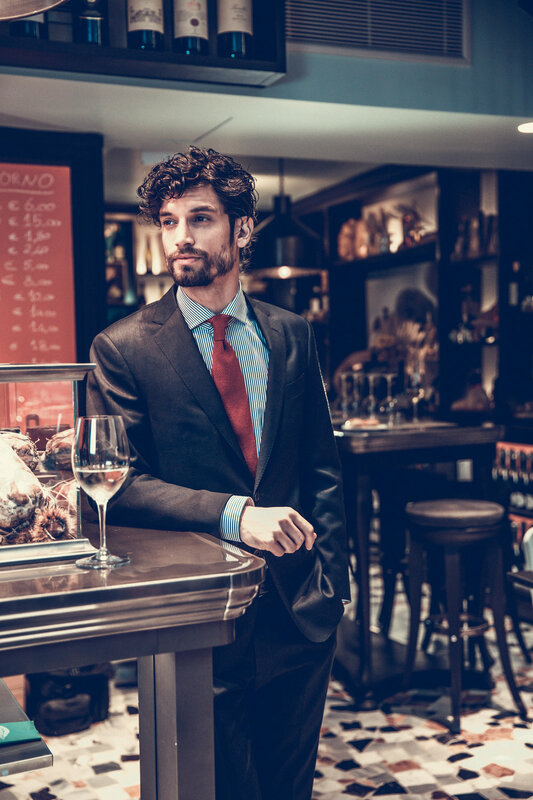 Giacomo and Giovanni Canali set out to make their name first as fine suit makers, blending culture and history with sophistication and style. Today, the third generation of the Canali family is at the helm of what is one of the most recognizable and respected labels in the industry. While some Italian manufacturers outsource beyond their borders, Canali takes “Made in Italy” to heart by making all of their collections in Italy. This measure ensures their identity as well as their timeless Italian style. The hallmark of a Canali garment is the marriage of luxury and consistency. Every bolt selected from the world’s finest mills is carefully inspected by hand for the smallest of defects. After WWII the family greatly expanded their manufacturing. To maintain quality, they pioneered many steps in the tailoring process, but not without controversy. In 1970 they were the first to introduce mechanized cutting machines…unheard of in Italy at the time. Hand cutting was a romantic but costly procedure, and was fraught with irregularities. What was frowned upon as heresy soon became the standard in the industry. The hands take back over as certain steps are impossible to replicate through automation. Each garment is put together and finished by only the finest tailors, who often specialize solely in a single operation. The end result is a garment that maintains its shape while providing extra movement and agility. Part of the culture on the factory floor is friendly competition on who can dress the most beautifully. Passion, pride and quintessential Italian style work in concert with skill and precision to create clothing that is a pleasure to look at and wear. Creativity and excellence are two powerful forces when managed properly. Canali embraces these ideals, and ultimately delivers each season. Their Fall 2016 collection does not disappoint. This season, they subtly revisit the tenets of classic menswear. Performance-focused fabrics, new contrasts and textures provide unique touches to a distinctive collection that has been designed for the modern-day gentleman. The color palette comprises a versatile foundation of blacks, browns and blues in varying shades while the silhouette of jackets and pants tends to follow the natural contours of the body for a comfortable and contemporary fit. Technical materials take center stage, providing resistant and refined protection against wear and tear – perfect for those who are constantly on the go. In response to growing international demand, Canali now offers a Made-to-Measure (or Su Misura) service. The opportunity to wear full custom Canali is more than a luxury; it is a treasure. Our customers are taken on a journey that is both adventurous and methodical. Every detail and measurement is recorded with care to ensure that the customer’s own tastes and needs are brought to life. The Made-to-Measure experience is exclusive to selected retailers, and is a study in personalized distinction. Continued focus on the individual blends beautifully with the Beecroft & Bull experience. We strive to remain mindful of the evolution in the marketplace and well as the shifting demands of our individual clients. To that end we choose to associate with brands that share in that quest. As they have from their beginnings, Canali interweaves leading edge technology with sophisticated manual skills. Tradition and experimentation, and innovation and excellence, are elements that come together in the creation of premium quality collections we are proud to represent, season after season. Self expression can be realized through a variety of mediums: Fashion, art, music, cuisine, and countless other forms. Whatever you embrace, do it with full vigor and gusto. An old, small warehouse equipped with forgotten knitting machines inspired a struggling father and a wardrobe classic. Failing as a tailor, William Paine stumbled upon the overgrown structure on his vast family property. After teaching himself to knit on the dusty machinery, a hobby quickly grew into a business, where arguably, he created the first cable knit sweater. In the 1920's the "club colour trim" was added to the sweaters becoming widely popular among athletes. Every rowing, tennis, and cricket club customized the sweater with their colors. After WWII, William was succeeded by his son Alan. The brand developed far beyond their core base of classic knitwear to incorporate the English Lifestyle collection, featuring jackets, coats, shirts and sport coats. South Shields, England is the birthplace of the iconic Barbour brand. In 1894 John Barbour opened a shop in the town's Market Place selling an array of functional goods such as outerwear, boiler suits, painters jackets and underwear. As an importer of oil-cloth, Barbour's business was primarily ship owners, builders, and seamen of the port, and soon became well known for his Beacon brand of oil skin coats, designed to protect against the harshest weather conditions. Today, the Barbour brand is in its 5th generation of family ownership and has stayed true to its promise of quality, durability, attention to detail, and focus of purpose. Barbour has grown to become a lifestyle brand offering a wardrobe of clothes designed for country and city men, women, and children. Ever respectful of their origin, they continue to manufacture many of their classic jackets by hand in South Shields. "Experience tells us technology is limited only by our own creativity, which is why color is our inspiration, design our driver, master craft our bedrock." Two centuries ago Scottish textiles were put on the global map when Alexander Johnston opened Elgin Mill on the banks of the River Lossie. Johnston established the mill on a strong sense of continuous natural renewal and evolution; a balance between nature and technology. This balance is maintained and expressed with exquisite craft and sourcing only the highest quality yarns in the world. The result of constantly refining a process for over 200 years: Preserving history and maintaining their heritage as a world leader in the production of knitwear, accessories, and home interiors. When you put on an article of clothing bearing the name Robert Talbott, you can almost hear the sound of waves crashing off the Monterey coast as if you have a large seashell to your ear. The relationship between Robert Talbott and Beecroft & Bull is one that dates back over half a century. A bond was forged early in their histories as they shared a commitment to timeless craftsmanship and traditional style. This treasured American brand has earned generations of fans. The story of Robert Talbott must be told through the microphone of spirited adventurism. Robert, a successful executive in New York and Connecticut, and his wife Audrey, who was already hand sewing bow ties to give as Christmas gifts, fled the comfortable confines of the east to chase their dream on the California coast. A deep rooted ambition had begun to blossom during Robert’s time at Harvard Business School in the 1930’s. He wanted to create and manufacture something that was truly unique and special. Together, Robert and Audrey envisioned a company which would craft stunning neckwear and shirtings for gentlemen with discerning taste. As any chef will tell you, to prepare a delicious dish, you must first source quality ingredients. In 1955, Robert and Audrey traveled to Europe and Asia in search of the most famous weaving mills. Extensive research and procurement of the world’s finest silks would quickly elevate the Talbotts to one of the premier neckwear designers in America by the 1960’s. It is interesting to note that during these trips they became fascinated with the vineyards of France and Italy. This instilled in their son Robb an appreciation of fine wines, culminating years later with the Robert Talbott Vineyards. True to their legacy of fine craftsmanship, the Talbott label grew to be revered in the international wine community. 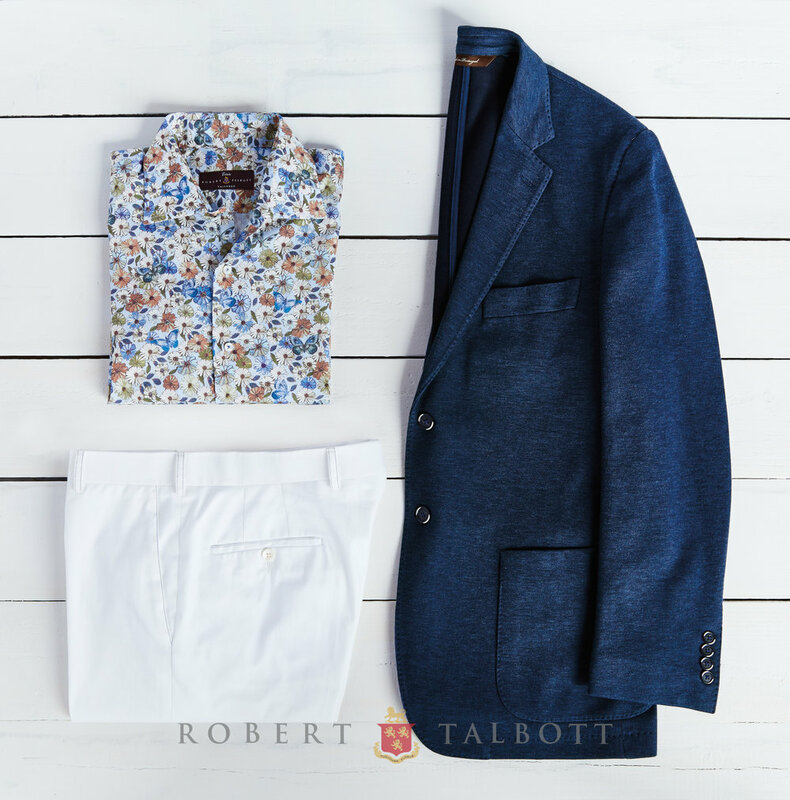 The timeless spirit of Robert Talbott translates beautifully into 21st century fashion. By listening carefully to their clients and staying in tune with an ever changing market, they have remained relevant while never abandoning their roots. Today they are a complete “lifestyle” brand offering luxurious outwear, sweaters and sport coats to compliment their legendary shirts and ties. The hallmark of a well-designed and inspired piece of clothing is one that sparks excitement on Day One, or years later when it may be rediscovered in the back of the closet. It is safe to say that items with a Robert Talbott label rarely make it to the donation bin. Each season we work with our partners at otto design + marketing to create our bi-annual album. We draw from what inspires - be it music, art, nature, cool buildings, cars, and of course, beautiful clothing. In the digital age, we still believe this fundamental method of communication plays a vital role, especially in the world of luxury that we are so humbled to be a part of. Just as we exist to serve those who prefer to touch and feel over clicking "buy now" online, we also believe this more accurately brings to life the items we carefully curate each season for you to enjoy. Our digital messages compliment, but cannot substitute, a well designed and artfully crafted piece that you can hold in your hands, and hopefully serve to inspire. Our shops provide an experience that is uncommon in retail. Our album is an extension of that effort. In our video documenting the album, Alanis Morissette delivers raw emotions through her voice and her lyrics. Those same passions are carried out in the moments that Mark Atkinson & Co. stage to capture the essence and beauty of the pieces worn by our longtime friend and ambassador, Patrick Ryan. Lighting, color, and energy all play a part in executing each image and translating our message. When we "really explore the space” (The Bruce Dickinson), we look to find ways to turn the ordinary into the extraordinary. “More cowbell” in this session was provided by the lovely Kara Rochester who modeled fashions by Trish. For the fall ’16 shoot, we were fortunate to gain access to the Slover Library, located in downtown Norfolk. This impressive accomplishment of architecture and design made a wonderful backdrop for the story we told this season. And for the record, what a cool library! Glass, steel, and technology all came together to create a one of a kind asset to the Norfolk community. We hope that you take a moment to enjoy this video and witness some of the behind-the-scenes work that goes into creating our seasonal album. And then, please drop by to pick up a copy if you don't have one. (It is featured on our website, but it’s just not the same!) We look forward to seeing you. Peter Millar is one of the most sought after and fastest growing brands in the market. It all began with a man consumed by the realization that there were no value priced cashmere sweaters in the market. In 2001, Peter Millar was born with such a singular item. Who is “Peter Millar”? The name was inscribed on the inset of an antique lawn bowling ball that was gifted to the founder by his mother. To him it evoked a certain prestige associated with a time when people embraced old world sophistication and finer dressing. From this vision, Peter Millar grew to represent classic styling and superior craftsmanship with an accessible price point. It combines the essences of both American authenticity and European panache—emblematic of the confidence and charisma of the person who wears it. The company prides itself on creating a new standard in discerning menswear. From smart design to coy marketing, every aspect of Peter Millar is dedicated to maintaining their enviable status in today’s specialty retailing. Research begins in the design studio with the “Share of Closet” - a discussion of what the Peter Millar guy has in his closet, and what he needs from point A to Z and all points in between: In the boardroom? The course to clubhouse? The beach? The mountains? Going from the boardroom to the course? Or stopping in the mountains on his way to the beach? (Are you following?! Stay with me!) Meanwhile, merchandisers consume themselves in current trends, predicting future ones, and respecting the successes of the past. Peter Millar maintains this balance of being mindful of the past, present and future, ever respectful of their original fans and responsive to their growing audience. An interesting point to note is that Peter Millar’s popularity has expanded without delving into mass marketing. They only advertise in two national publications, Garden & Gunn and the Wall Street Journal. With this modest approach, Peter Millar is able to put more resources into their product rather than a marketing machine, and as a result, continue to provide accessible elegance at an honest price. A Beecroft & Bull staple, Peter Millar has been on our shelves for the past 15 years. “Peter Millar burst onto the scene when other brands were getting stale” says manager and buyer Tom Tatum, a Millar enthusiast. “Their collections always excite. Every season is a move forward…they stay relevant and increase quality while keeping value in mind. They have proven consistent and dependable, but keeps our interest with the depth of each collection and constant innovation. They have evolved into a comprehensive lifestyle brand.” Every woven print is designed in house and copyrighted ensuring its exclusivity for the year. Fabrications are an ongoing experiment - an endless mingling of fibers, finishes, and treatments to achieve a softer touch, a better fit, and high performance for reasonable care. Peter Millar’s most recent launch, the Collection, is a luxury capsule focusing on the finer attributes of menswear. Distinguished by purveying the highest quality fabrics and materials, Collection updates classic constructions with modern appeal. Sport shirts are created with details reminiscent of bespoke tailoring such as slightly lowered collars, clean French plackets, mitered cuffs and mother-of-pearl buttons. Soft coats and outerwear feature Italian workmanship and exclusive fabrications from famed European mills and tanneries.